Kale is definitely a nutritional darling at the moment, with many foodies (and others) enthusiastically blending it into smoothies, munching on kale chips and building tasty salads around the leafy greens. But it wasn’t so long ago that folks were taking potshots at the in-vogue vegetable, a cousin to cabbage. 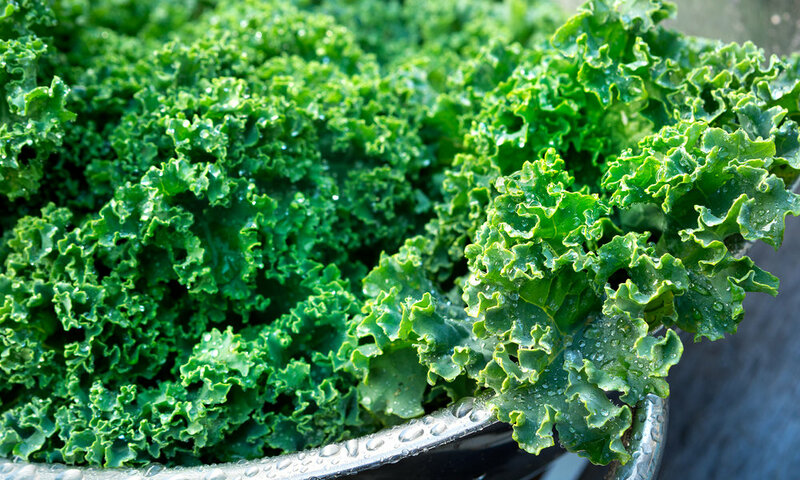 A 2015 article in Mother Jones magazine warned that excess kale consumption could lead to “chronic fatigue and neurologic disorders” due to toxic levels of heavy metals in the leaves – and might even be lethal. In the story, “Sorry, Foodies: We're About to Ruin Kale,” based on an article in Craftsmanship magazine by Todd Oppenheimer, it pointed out how kale easily absorbs the element thallium, but didn’t acknowledge that other vegetables do as well. The fact is that most cruciferous vegetables – which also include cauliflower, broccoli, Brussels sprouts and bok choy, among others – absorb thallium. Found in the Earth’s crust, the soft gray metal is generally introduced into the atmosphere by human activities such as coal burning, oil drilling and electronics manufacturing. Let’s turn to kale’s many pluses. Rich in vitamins A and C as well as folic acid, kale boosts our ability to fight off diseases through our immune system. Research even suggests it may destroy cancer cells and prevent precancerous cells from developing into malignant tumors. Consuming cruciferous vegetables in general is linked with a reduced risk of cancer, and these veggies contain natural chemicals revealed to help thwart cancer cells by blocking their blood supply. So before you jump on kale-bashing bandwagon, take a hard look at its many documented health benefits, especially when it comes to cancer prevention. According to the National Cancer Institute, more than 4 in 10 Americans will be diagnosed with cancer in their lifetimes, but eating healthy foods can help reduce that risk. If you’re worried about thallium, check the food source and/or farms you obtain your vegetables from. Otherwise, pass the kale! It would be a shame to bypass something so good for us. Why Should We Drink Almond Milk?